Goode Co. Seafood offers the finest seafood available, sharing and preserving the rich cooking traditions of Texas. Our time honored recipes are hand-prepared daily using quality ingredients so you taste the freshness! 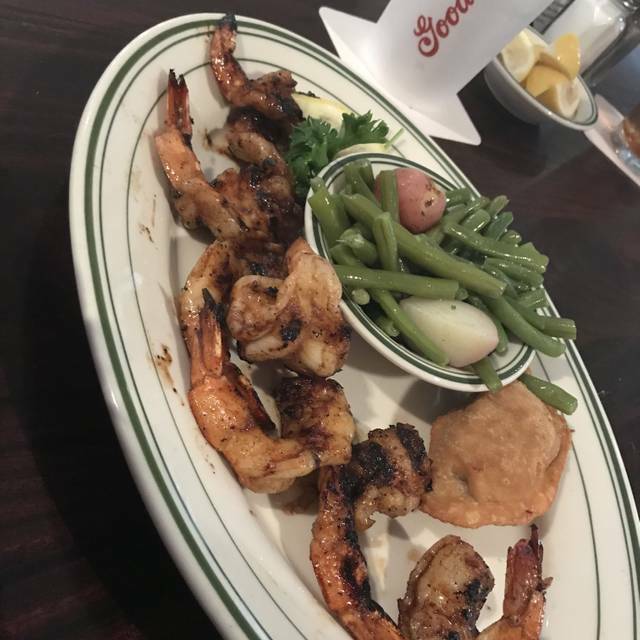 We are committed to serving up authentic Texas, one plate at a time. Determined to recreate an atmosphere from the 1930’s, back when Tarpon swam in herds off the Texas Gulf Coast, we strive to take our customers back to a time and place that their parents and grandparents enjoyed. We set out on a journey from Port Isabel to New Orleans to find the finest photographs that are still intact from that time period to adorn the walls of our Gulf Coast seafood house. We also acquired a 25,000 lb. steel propeller as well as a 1939 Chris Craft Runabout boat and both are on display in our restaurant for your enjoyment. Good and service were great. Noise level is quite high. A great night with excellent food and service, We visit often and expect the same great time on each visit. Thanks Cullen, you were perfect! I looked at the menu online , but when I ordered it in the restaurant, it was more than the online menu. It was , I think, $18 online and around $28 or $29 on the bill, big difference. Food is good but a bit pricey. We all had the Mahi Mahi chef special that day. The food was good. Portions could have been better. Our waitress was horrible. She just couldn't seem to get in time with us even though it was very slow when we were there. Late with the appetizers, had to ask a busboy for silverware. We asked for items that she never brought. we ran out of wine. Had to wave her down for our check. Just not the usual experience. And when you spend $180 for a client's dinner, you want an experience. Great food and service! Crowd noise was minimal. Highly recommend. For the most part - we had a great experience - our waiter was really good and patient - the food was good etc. - but 2 things jump out - (1) we had a very early dinner (5:15) and the place was nearly empty and we were still seated near the kitchen - didn't make sense at all and (2) we were told about the special and yet - at the same very early hour - almost empty place - there were only 2 specials left - most of us wanted to try the special but couldn't so it left me wondering how on earth is this possible. It's one thing if you come later - but this was literally the start of the dinner hour. Don't get me wrong - the food was still good and all - but just a very odd thing to have happen if you look at the entire picture. We loved our experience here! It was such a great time celebrating my boyfriend’s birthday. Our server was so sweet, I forgot him name, but he made our dining experience even better!! the campechana was very good with lots of shrimp in it. Crab cakes were disappointing with very little crab and mushy consistency. The oysters Rockefeller were on point as was the chilled snow crab. Was surprised with the stuffing for the stuffed baked crab however...wasn’t exactly what I was thinking and was more like a thanksgiving stuffing with nuts and such in it. Again, not bad but wasn’t what I expected. Overall an above average place to eat with above average service. Prices can get a bit steep in a hurry, so plan ahead. We love to come to your location on the Katy Freeway because of the ambiance and the service. The food is superb. Great service, delicious food, and would definitely recommend it to others! Excellent food....all entrees were freshly prepared and delicious. Cakes for dessert were ok, but not as moist and tasty as they looked. Dessert portions were large and our server was pleasant and attentive. The atmosphere at Goode Company Seafood is rich with an antique speedboat and a very large bronze propeller on the wall. We were seated immediately for our birthday lunch, yes we made a reservation. The restaurant was not crowded but our service could have been more punctual. Our orders were mostly correct, missing a side dish. Generally the entrees were very good except the fried oysters were not crisp. One thing missing is a lunch menu with smaller portions and smaller prices. In the future we will come back at dinner. Something needs to be done to lower the noise level. With only a moderate crowd, I could not talk to the person across the table from me. The concave ceiling creates much of this problem. You need some noise dampening. It is very difficult to even understand the wait staff when they talk to you. Noise level was excessive to the point that I could barely hear the person next to me and the restaurant was only 60% full. Won’t ever go back. We had dinner at Goode seafood this week with one of my clients and overall everyone enjoyed their meals. The Compechana was outstanding and the creole cream sauce they put on my flounder was also yummy. One note about the drinks, two of us ordered margaritas and the amount of liquid in the glass of ice was way out of balance. There were literally three sips of margarita in a small glass filled to the top with ice and while I don’t want a big glass full of mixers and juice this seemed odd to us. much more classy than Kirby. The food was good. The portions were reasonable. This claims to be a high end restaurant and the prices reflect that. Service was adequate, but definitely not outstanding. Server could use some people skills. It may have been the way he said things, I felt he was doing us a favor by waiting on us. It seemed to take a while to get our food, but it was fresh and hot. I will go again if the opportunity arises. Still my favorite restaurant in Houston and so wished we had one in DFW. The crab gumbo is the best!!! We were very pleased with the food, a little spicy on the grilled shrimp but good flavor. Service was a little slow due to our waiter had big tables. It was very noisy and could not have a good conversation due to the loudness. I will return as our experiences in the past were very good. The food is always good at Goode Co. Seafood. it is one of our favorite seafood restaurants. We ended up leaving after appetizers because it was so loud and our server was so inattentive. Went elsewhere for dinner. We did not give very long notice for a post funeral gathering of family and friends; goode co accommodated us, as they have a couple of years ago as well for the same type of occasion; it was quiet, the food was wonderful, the service was great and I would say the quality of food is probably appropriately priced. Food was not as good as expected but service was exceptional! We enjoy dining at Goode Co. Seafood in the Memorial area after each subscription theatre event downtown. We have never been disappointed and they are among the most consistent and highest quality seafood restaurants we have found. We can't say enough about the efforts of management and staff to maintain such impeccable food and service. We had a great experience. Food was fresh and came out in a timely manner. Waiter was ON POINT! Boring mediocre food, mass market experience and service. Great seafood great bar service, even better food. Waiter was top notch. It was a great to dine after a good movie. The food was great. The ambiance can’t be beat. The service was superb. We had a three course meal and all courses were great. My only complaint is that it was too loud so it was difficult to hold a conversation. Everything was great except for the food portions. My meal looked as if it was a child’s portion, and I paid $30 for it. I didn’t say anything at the time because we were eating with friends we hadn’t seen in 9 years and didn’t want to tarnish the experience. Needless to say, I was disappointed. 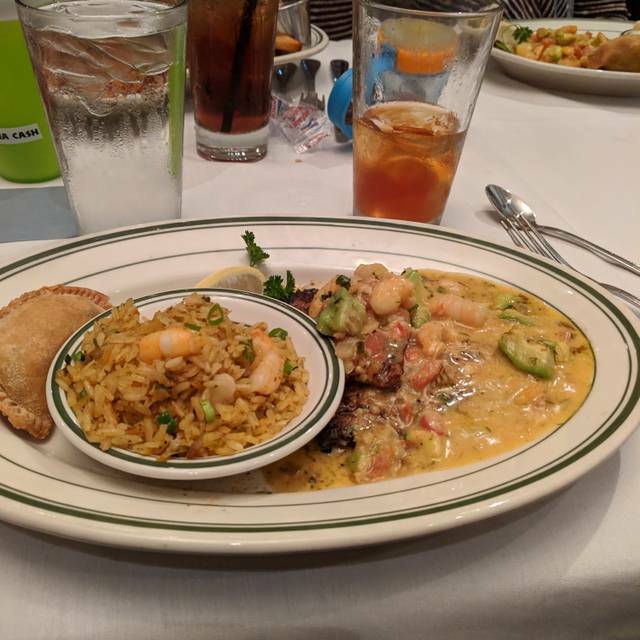 Recently went to Goode Company Seafood for a business lunch. Food and service were excellent but the noise level in the restaurant made discussions difficult. Would go again but avoid the 12:00 to 1:30 time slot. 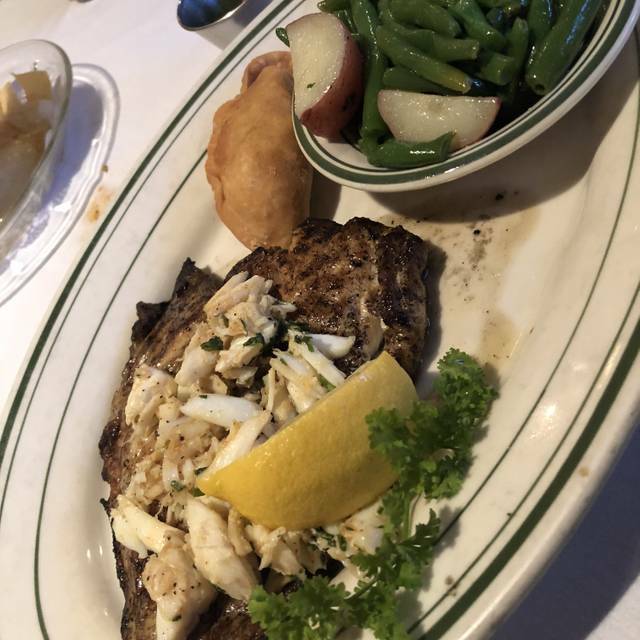 Goode Company Seafood is always a great place for dinner! We had to wait for our table for about 20 minutes. Table was small for the six of us and wobbly. Food was good. Waiter a little pushy. Food and service is always good! Recommend and will be back! the food was great and the price was great. The only issues that i had was with the portion size of the fish that came on the platter that I ordered. It was literally 1/2 of a fillet of fish. . The food is consistently fresh and good !